SACRAMENTO, CA (MPG) - Presenting the only train ride experience behind an authentic, historic locomotive in the Sacramento area, California State Parks and the California State Railroad Museum & Foundation are proud to offer history-rich weekend excursion trains on the Sacramento Southern Railroad that begin on April 6 & 7, 2019. Each weekend through September 2019, guests can enjoy relaxing and memorable excursion train rides along the picturesque Sacramento River and Old Sacramento Waterfront pulled by either the vintage steam locomotive Granite Rock No. 10 or a historic diesel locomotive, depending on the weekend. Diesel or steam, excursion train ride guests delight in the sights, smells and sounds of an authentic, historic locomotive as it rolls along the levees of the Sacramento River for a six-mile, 45-minute roundtrip excursion. Appealing to all ages, the experience offers guests the chance to enjoy train travel from an earlier era. The train features a combination of vintage closed coaches with comfortable seats, open-air “gondolas” with bench style seating or VIP train ride experiences onboard one of three of the California State Railroad Museum’s first class cars (depending on the weekend): the El Dorado lounge observation car, the Audubon dining car or the French Quarter lounge car from the 1950s that served the famed Southern Pacific “Sunset Limited” service. Weekend excursion train ride tickets are available and encouraged to book online in advance at www.californiarailroad.museum/visit/excursion-train-rides or can be purchased in-person starting at 10:30 a.m. the day of the train ride (based on availability). Weekend excursion trains depart from the Central Pacific Railroad Freight Depot (on Front between J & K Streets) on-the-hour from 11 a.m. to 4 p.m. From July 6 through September 2, an adjusted summer schedule takes effect with trains running on-the-hour from 10 a.m. to 3 p.m. (if summer temperatures reach 100 degrees or higher, trains may be cancelled for the remainder of that day). Regular excursion train tickets cost $12 for adults, $6 for youths (ages 6-17), and ages five and under ride free. For passengers desiring a first-class train ride experience, tickets cost $24 for adults, $16 for youths and are free for children five and under. First-class train tickets often sell out early so guests are encouraged to purchase tickets in advance. Groups interested in reserving the entire VIP car for a regularly scheduled ride need to do so in advance by calling 916-322-7112. For more information about the weekend excursion train rides or the California State Railroad Museum in general, please call 916-323-9280 or visit www.californiarailroad.museum. The mission of the California State Railroad Museum Foundation (CSRMF) is to generate revenue and awareness on behalf of its destinations, while supporting the preservation, interpretation and promotion of our railroad heritage. The Foundation provides funding for ongoing support of numerous programs, both at the museum's Old Sacramento location and at the historic park in Jamestown, California. Sacramento cruisers, you might want to look into those non-stop flights from SMF to Long Beach because this fall you’re going to want to say “ahoy” to the Carnival Panorama. Come early December, the new 4,000-passenger ship will replace the 3,100-passenger Carnival Splendor, which was built a decade ago at the same Italian shipyard where the unfinished Panorama is now. Exchanging a 10-year-old European import for the latest model straight off the assembly line is rare for a market used to having older ships homeported here. In fact, 21 years and five class generations have passed since Carnival delivered a new ship to our Pacific shores – the Finnish-built Carnival Elation that is about half the capacity and interior space of the new vessel earmarked for Long Beach. Sweetening the already good news, Southwest and JetBlue offer non-stop flights to Long Beach from Sacramento International Airport. As the still-active Elation did when it first arrived, the Panorama will take fun-seeking passengers on 7-day sails to the Mexican Riviera, but not before making a special 3-day maiden voyage to Ensenada on Dec. 11. The Splendor will have bid adios by then. Once the largest ship in the fleet, the Splendor will end her run of weekly jaunts to Cabo San Lucas, Puerto Vallarta and Mazatlán on Oct. 5, the same day she embarks on a 24-day repositioning voyage to Singapore for a new life based in Australia. So that regional cruisers aren’t left hanging, the Carnival Miracle will make five week-long roundtrips south of the border from Oct. 12 to Nov. 23 before the Panorama makes her grand and historic debut. 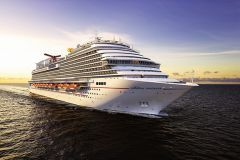 Just months away from a sea test at the Fincantieri shipyard near Venice, Italy, the Panorama is the third vessel in Carnival’s Vista Class, following the 2-year-old Carnival Vista and 10-month-old Carnival Horizon. It will not only be Carnival’s largest ship – by a few tons and a few people at capacity – but the largest year-round ship ever based in Southern California. Long Beach Cruise Terminal will be her home, sharing Pier H with Carnival’s short-itinerary Imagination and Inspiration through at least May 2021. For Carnival, vying for dominance in California with Princess, Norwegian and Holland America, homeporting a new ship in Long Beach is just the – pardon the inappropriate choice of idiom – tip of the iceberg in the company’s latest investment in the West Coast market. “There’s a level of value seeking and sophistication shared by people who cruise out of Long Beach, so it makes good business sense to offer a brand-new ship for 7-day cruises and two fully refurbished older ships for shorter sails,” said Lee Mason, cruise director of the Splendor. “Carnival is strengthening its position in California with the Panorama and many other ways, including an upgraded port. Gearing up for the Panorama’s debut, Carnival more than doubled space for embarking and disembarking passengers at its unique geodesic dome-shaped facility next to the permanently docked RMS Queen Mary. The dome, originally built to house Howard Hughes’ Spruce Goose seaplane, is now all Carnival’s thanks to the multimillion-dollar expansion opened to much fanfare last February. Southlanders now have another gateway to Hawaii and the Panama Canal with Carnival’s announcement that the 2,124-passenger Miracle, the ship that the Splendor replaced for longer Mexican Riviera cruises out of Long Beach a year ago, will sail to those destinations and Mexico from San Diego – ending a seven-year absence there – starting in December. The Miracle will have a second California home starting next year. From March 2020 through winter 2021, the ship will migrate between San Diego and San Francisco, a new port for the 47-year-old cruise line, offering voyages to Mexico, Alaska and Hawaii out of the busiest cruise terminal in the Bay Area. The first voyages related to all these West Coast-datelined announcements don’t set sail until late fall, but because bookings are underway, so is the marketing around Carnival’s growth in the Golden State. The company’s first float in the Tournament of Roses Parade on New Year’s Day featured a 55-foot-long replica of the 1,055-foot Panorama, complete with working trampolines for reasons to be explained later. The year-old Carnival AirShip soared over major California metropolises, including Sacramento, throughout January. These promotions and the strength of a reinforced fleet have Carnival feeling ship-shape to bolster its presence in the Golden State. When Capt. Carlo Queirolo and his crew of nearly 1,400 travel the 10,759 nautical miles from Marghera, Italy to the Port of Long Beach, crossing six seas, two oceans, the Strait of Gibraltar and the Panama Canal to get here, they will bring with them 133,500 tons of cruise innovation. Some will be of the likes never before seen on the West Coast and one so completely new to ocean travel, passengers will be jumping up and down with delight. The first trampoline park at sea will feature a 12-lane court also used for playing bouncy basketball and dodgeball. Partnering with Sky Zone, a Los Angeles-based chain of indoor family centers, Carnival is replacing space occupied by a three-deck IMAX Theater, also a maritime first, on the two existing Vista Class ships. An up-charge, Panorama’s Sky Zone Park also will be fitted with such physical challenges as a rock-climbing wall and oversized, stackable soft blocks for toddlers. Ways to work off the buffet without paying extra money include the Vista Class-exclusive SkyRide, an outdoor, self-peddled roller-coaster bike ride; the SkyCourse ropes circuit; and a massive water park with two distinctly different waterslides. Digging into the food a bit more, the Panorama has something the Splendor doesn’t: Guy’s Burger Joint. The 5- to 10-pound weight gain generally accepted as average for a 7-day cruise can easily be attributed to this poolside eatery overseen by celebrity chef Guy Fieri. Try the Pig Patty or Chilius Maximus with extra Donkey Sauce and dare prove otherwise. Adding to the guilty pleasure is it’s included in the fare, unlike Johnny Rocket’s on Royal Caribbean ships. Other food bars and restaurants feature Mexican, deli, sushi, teppanyaki, barbecue, beachy comfort seafood and 24-hour pizza. Also onboard are an elegant steakhouse, Italian trattoria and two main dining rooms. The Panorama will have three more bars and lounges than the Splendor, including the exotic and intimate Havana Bar which, found only on Vista Class ships and Carnival Sunshine, pours Cuban-style cocktails and coffee with Latin dance music to match after sunset. As for the ship’s other 24 watering holes, worth noting for martini aficionados is the Alchemy Bar, and for beer lovers there’s Guy's Pig & Anchor Bar-B-Que Smokehouse and Brewhouse. Yep, the ship has a brewery. Where you sleep it off can also be a bit different with Vista Class. Among the 34 grades of cabins is an exclusive Havana section with tropics-inspired staterooms for guests 12 and older. Located near the Havana Bar (of course), this area offers a members-only pool by day and cabanas with hammocks. Also new is the all-ages, nautical-themed Family Harbor area that provides a hangout with large TVs and complimentary breakfast and snacks only for occupants of these 86 staterooms. Cloud 9 Spa cabins have access to private spa facilities. The Panorama will have 1,832 passenger cabins in all. Unique to Vista Class ships, Panorama’s interior focal point will be a 24-foot-tall, funnel-shaped sculpture called “Dreamscape.” Towering three decks, the artwork’s centerpiece has over 2,000 flexible LED tiles that are customized for the shipboard environment. Each day, technicians program the rotating artwork based on the time of day, cruise port of call or special occasion. Fares for a 7-day Mexican Riviera cruise on the Panorama this winter start at $529 per person. For further information, visit carnival.com or call 800-764-7419. Puerto Vallarta’s 3 million international visitors who arrive by air annually aren’t teased like the 300,000 who come by ship and don’t get to stay the night or longer. Cruises are great, but when passengers are given a measly 6 or 7 hours to explore a port as easy to love as this friendly, safe and beachy jewel south of the border, sail away is like pulling the Mexican rug out from under them. If only cruise passengers had more time. Well, that’s what a next vacation is for. 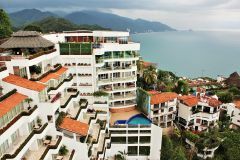 So, for them and others who have never truly explored this Conde Nast Traveler “Best Cities in the World” winner, do we have four perfect days in Puerto Vallarta for you. Your airport shuttle has taken you to the Grand Miramar, where you happily trade the hustle and bustle of downtown for tranquil luxury in the exclusive Conchas Chinas neighborhood. The hilltop location of your accommodations requires using the shuttle service to and from the beach and town, but any inconvenience is forgotten with every stunning view of Banderas Bay from your suite and the property’s understatedly elegant restaurants and bars. The six or seven hours in the air from Sacramento have you hungry, and wanting to start your Mexican getaway right, only eating among the locals will do. The street food from all those taco stands downtown smells great, but there’s apprehension over American health laws not being enforced because, well, you’re in Mexico. Good thing you booked “The Street – An Evening Taco Adventure Tour” with Vallarta Food Tours. A street-wise English-speaking guide takes you and a small group by foot and public bus to a handful of stands you can trust. All vendors must have a permit at least six years old to participate, and they need to demonstrate a unique flair for curbside cooking. At the first stop, a brick-and-mortar restaurant called Joe Jack’s Fish Shack in the Romantic Zone, you’re enticed with a red snapper taco that goes well with avocado and habanero salsa. It’s amazing, and just before the heat travels to the back of your throat, you wash it down with a shot of mezcalini, a refreshing cocktail best described as a cross between a margarita and a mojito. Other than a stop at Vallarta Chocolate Factory for a quick sample, the rest of your 3 1/2-hour tour is strictly street food. By the end of your eighth tasting of another full-sized taco, this one birria, or goat, you find yourself stuffed like a pinata for Las Posadas. $50; nightly except Wednesdays. Before calling it a noche, you head up to the Grand Miramar’s ultra-chic rooftop lounge, The Gin Joint, the highest point on beautiful Banderas Bay. The epic view from your comfy couch, lit by candle and moon, is the perfect outdoor setting to enjoy a signature tamarind margarita or passion fruit gin martini. Still full from the downtown delicacies of the night before, not to mention the midnight tapas you somehow made room for at the rooftop bar, you’re fine skipping breakfast for morning snacks aboard your catamaran en route to Las Caletas, a private beach paradise on the south shore of Banderas Bay. Besides, you’ll be chowing down plenty once there as a seafood paella cooking demonstration, guacamole and pico de gallo cooking lesson and incredible buffet await, along with full-service hosted bars. A wide variety of activities also are included in your 6 1/2-hour “Las Caletas Beach Hideaway” with Vallarta Adventures. Stand-up paddle boards, kayaks, snorkel gear, hiking trails, animal encounters, clay modeling and an adventure cove lure you away from a perfectly positioned lounge chair. Up-charge options range from marine life encounters to flyboarding. The blowing of a conch shell beckons you to the dock, but the 12-mile sail back home is fun, too, thanks an open bar and hilarious show by the crew. $139; daily. After a refresh and some down time at the hotel, you take a cab to Playa Los Muertos for appetizers and dinner at two great finds minutes and worlds apart. Seated under a namesake shelter at La Palapa, you’re delighted by the bar menu and starters of coconut shrimp, lobster and shrimp taquitos and seared scallops influenced by Mexican, French and Asian elements. Calling La Palapa the Mama’s Fish House of Puerto Vallarta would not be insulting to the restaurant considered by many as the best on Maui. Very similar décor and vibe shared by both, although La Palapa is easily half the price and, established in 1959, is 14 years older. Not even a year old is where you’ve made dinner reservations. Your walk of a single block has you at Medregal. The positive buzz around this hip eatery is justified in large part to chef Fernando Sanchez’s innovative menu that puts a twist on traditional Jalisco cuisine. The mahi mahi served in a banana leaf and topped with yellow mole sauce is a winner, as is the cochinita pabil, a traditional Mexican recipe headlined by shredded pork marinated in orange juice. Not quite ready to pack it in, you head to the Malecon, a mile-long shoreline promenade that hugs downtown. By night it’s one big party. You check out the clubs that befit your style, working off Medregal’s killer guanabana pie you had for dessert with some hot moves on the bar’s lively terrace. A taxi takes you back to your hotel, where you mentally dance yourself to sleep doing the cha cha, cumbia, merengue, salsa and samba – all to perfection, of course. This is your day to relax at the hotel and beach, so enjoy! Just remember to be ready in time for your big night. Yeah, another one. But tonight you’re wearing the finest threads you brought. A twilight stroll along the Malecon is a lovely way to ease into your special dinner. And what a meal it’s going to be. Café des Artistes, 27 years young, is one of Mexico’s most revered and gorgeous restaurants. Storm-free evenings beg for a table in the lush, romantically lit garden, but with showers in the forecast, you’re seated in a cozy room inside. Glass raindrops hang from the ceiling – sophisticated, yet whimsical and anything but pretentious. You’re living large, about to experience chef-founder Thierry Blouet’s six-course tasting menu with wine. Fresh mahi mahi and watermelon tartar leads to roasted eggplant au miso. Salmon scallops in green mole transition to suckling lamb. Then come the cheese tasting and piece de la resistance, the OMG-worthy chocolate spiral with coffee panna cotta, cardamom ice cream and fresh cream. The numbing effect of the perfectly paired wines helps at check time, and how nice that Monsieur Blouet stops by to personally thank you. You return to your hotel fat, happy and exhausted. Other than breakfast at the hotel, this morning’s feast is for the eyes, not the stomach. Today you’re taking a self-guided art walk of the city’s famous al fresco bronze sculptures that line the Malecon. You hardly recognize the paved boardwalk from last night. Fun seekers and loud techno music have been replaced by tip-seeking street musicians, talented artists and annoying vendors all hoping to score some of your American dollars. Perusing the ornate sculptures, you eavesdrop on an English-speaking tour group that’s learning about each work, the most popular also the first ever installed: Rafael Zamarripa’s “Caballero del Mar,” or “The Seahorse.” After some nasty stares from the paying guests, you walk up Calle Allende for three blocks when a gallery specializing in ancestral contemporary art catches your eye. Within Colectika are works from regional artists, many hailing from remote villages in the Sierra Madre Mountains who express old traditions in a whole new light. Canadian ex-pat Kevin Simpson, who also owns the nearby Peyote People Gallery, is full of great stories. You want to hear the one about his friendship with the mountain woman who inspired the grandma character in the animated feature “Coco,” but cocoa is next on your packed itinerary. At the Choco Museum Puerto Vallarta, anyone can be a confectioner. Five different workshops are offered at an awesome-smelling downtown location that opened in June 2017. You chose the most popular, a two-hour experience called “Bean to Bar.” After a horticulture and history lesson, you and your fellow bakers roast and grind cocoa beans to prepare three chocolate drinks, none of which delight your American sweet tooth. Also unremarkable are the dark chocolates you got to take with you – too bitter is that batch. At least you had fun pouring the pre-blended mixture into molds and adding your own toppings before the cooling stage. $34; three times daily. For your last night in PV, dinner is at the best-reviewed new restaurant in the Marina Zone. Refreshed from some down time at the hotel, you take a half-hour taxi ride to Tintoque, a year-old gem from chef Joel Ornelas. You and your waiter chose right, going with the heirloom tomatoes appetizer with pesto ice cream; shared main entrees of strained tamale with shrimp caritas in adobo sauce, Baja California-caught escolar drizzled with smoked pineapple puree, and pasilla-crusted beef steak; and for dessert, it’s cheesecake and chocolate cake. Pure heaven. You head back to your hotel to pack for the next morning’s flight home, looking on your calendar to find time for another four perfect days in Puerto Vallarta. SACRAMENTO REGION, CA (MPG) - Read the guidebooks, talk to honeymooners, listen to the star of “The Bachelorette” from season six – they’ll all tell you that French Polynesia is the quintessential romantic paradise. And, for them, how can it not be when the glowing travel writers are enjoying press rates or straight-out comps while they’re on assignment, or the newlyweds are paying with their cashed wedding checks, or spouse-seeking Ali Fedotowsky is getting ABC-TV to pick up all the bills? For the rest of us, including this ethical travel writer, spending two grand a night for a five-star, bucket-list overwater bungalow, $40 at a quality restaurant for an appetizer (repeat, appetizer) and $24 for a ham and cheese sandwich and $20 for a glass of unremarkable wine at a four-star hotel’s lobby bar is neither romantic nor paradise. So, when French Polynesia is described as a lover’s utopia, better take it with a few grains of sea salt. That is, unless the salt comes from one of three exquisite dining rooms aboard the M/S Paul Gauguin, a Tahitian treat if there ever was one. The 332-guest Paul Gauguin, which makes up the entire fleet of Seattle-based Paul Gauguin Cruises, prides itself on being designed specifically for the South Pacific; the ship’s 17-foot draft makes it ideal for French Polynesia’s shallow ports of call. Being all-inclusive brings sanity to the insane cost of vacationing in the land of exquisite natural beauty, emerald waters and dreamy sunsets. The cruise line doesn’t broadcast the money-saving factor, no doubt because the parent company is also the largest luxury hotel operator in the region. Don’t bite the hand that feeds you, after all, especially when those bites at breakfast time cost $50 at the sister InterContinental Tahiti Resort and Spa, the most popular pre-cruise hotel. Speaking of awesome, nearly every aspect of a recent 7-day “Society Islands and Tahiti Iti” sail was, and appropriately so. Paul Gauguin is a “luxury” category cruise line, as opposed to “mass market” (e.g., Carnival, NCL, Royal Caribbean) or “premium” (e.g., Celebrity, Princess, Disney). Luxury cruises tend to offer smaller ships, more interesting ports, better service, higher quality food and more inclusions. Check, check, check, check and check. Another plus: Blatant upselling seems to be taboo on Paul Gauguin Cruises – not a single sales pitch was heard all week. All of Paul Gauguin’s 7-day itineraries sail out and in of Papeete, Tahiti, with most making calls in must-see Bora Bora and Moorea. The route of “Society Islands and Tahiti Iti” cruises tacks on visits to the islands of Huahine and Taha’a, and the port of Vairao on the southwest coast of Tahiti. Overnighting in Bora Bora and Papeete slows down the speed port-dating aspect of an itinerary with no sea days. With so much going for the Paul Gauguin, getting there really is half the fun. It starts with the people. Having sailed on 21 previous cruises, this sea-legged traveler has interacted with his share of phony and lazy employees. Not here. Of the 217-member crew encountered, each was as genuine as the Tahitian pearls on display (for free!) at the Robert Wan Pearl Museum in Papeete. From affable Capt. Toni Mirkovic down, every Paul Gauguin badge wearer is ready to serve – think Nordstrom employees of old. The entire crew act as hosts, but that role is officially taken on by a troupe of Tahitian ambassadors and entertainers named Les Gauguins (men) and Les Gauguines (women). When they’re not leading interactive onboard activities involving Polynesian arts, crafts and music, they’re entertaining guests with traditional songs and dances. Accommodations-wise, cabins on the Paul Gauguin aren’t that different from those found on megaships with 10 times the number of passengers. One distinction is free rein of a mini-fridge stocked daily with beer, sodas and waters – something verboten with beverage packages on other ships. Food-wise, like the paintings by its namesake, the dishes coming out of the Paul Gauguin’s two specialty restaurants are masterful works of art. By day, La Veranda and Le Grill serve up sumptuous breakfasts and lunches, then are transformed at night to reservations-only, no-fee venues for gourmet dining inside or al fresco. Michelin-starred Parisian chef Jean-Pierre Vigato helms La Veranda’s menu, his onboard proteges doing delicious justice with lobster lasagna, braised veal, heart of beef tenderloin with beef tartare, roast halibut and guilt-worthy desserts. Polynesian specialties grace the menu at the more casual, poolside Le Grill. At L’Etoile, the ship’s main dining room, nightly selections may include moonfish caught in local waters and arguably the best beef Wellington on the high seas. Let the megaships have their full-production shows and comedy clubs – entertainment aboard the Paul Gauguin is charmingly modest and indigenous. Local acts get tendered in to share Polynesian culture through music and dance in the 314-seat Grand Salon. Also on the weekly program are performances by Les Gauguines and Les Gauguins, specialty acts, a crew talent show, enrichment lectures and itinerary-relevant movies ranging from the Polynesia-set animated feature “Moana” to a documentary on Monsieur Gauguin, the Parisian artist who got his groove back while in self-imposed exile in the French colony. Asterisks to Paul Gauguin cruises being all-inclusive include spa treatments, premium alcohol and organized scuba dives. Shore excursions are also extra, but this is a rare cruise that doesn’t require spending additional money to satisfy your sense of adventure. For the more shipshape, snorkeling gear, paddleboards, kayaks and other watersports equipment are supplied at the ship’s retractable marina in back. At most ports, after the short tender, free shuttles can take guests into town for light shopping and people watching. One day is already set thanks to a hosted barbeque on the cruise line’s private island, or motu in Tahitian speak. This section of Taha’a is palm tree-shaded paradise with enough loungers for everyone, open bars (one floating), quality spread featuring five different kinds of perfectly grilled meats, snorkeling and other aquatic fun in calm, translucent, sea cucumber-infested waters, and all the while being serenaded by the beautiful and buff Gauguines and Gauguins. If you want to spend on shore excursions and haven’t pre-booked, the cruise line makes it easy at the desk on Deck 4 or interactive TV system in each cabin. In Huahine, choices include ATV, 4x4 and WaveRunner adventures, and the falsely named “Huahine Nui Safari Expedition” ($95). You’re driven to an archaeological site, ancient and restored fish traps, a spot where blue-eyed eels congregate, a vanilla farm and, by outrigger canoe, a black pearl farm with a store, of course. It’s just neither a safari nor an expedition. The “Highlights of Tahiti Iti” ($95) excursion takes vanloads to a lookout, a famous surf spot and a water garden that’s actually on the nui (large) side of Tahiti. Clearly, there’s not enough highlights on the iti (small) side. 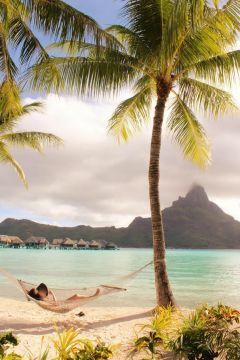 Two solid recommendations for Bora Bora and Moorea are the “Day at the Beach” ($144 and $130, respectively). Each has you spending 6-7 hours at a gorgeous InterContinental beach resort, where poolside luxury and an included lunch await. A visit to either property, seeing waters of indescribable shades of blue, will substantiate why French Polynesia attracts celebrities, business elite and political magnates. A pre-cruise pick is a half-day circle island tour of Tahiti. For around $50 a person, Marama Tours whisks guests in an air-conditioned van to a waterfall, a water garden (yes, the same), a fern grotto, a blowhole (when in season) and a couple of lookout points. What’s nice about this tour is by making a full circle around the largest side of the economic, cultural and political center of French Polynesia, one sees the extremes between posh and pauper as presented by a safe and knowledgeable local. Being exposed to how the 30 percent of impoverished Tahitians live and the country’s reliance on funding from mother France is educational and humbling, and can’t help but make one appreciate the next seven or so days aboard one of the world’s most luxurious ships. If the thought of vacationing in China causes some anxiety with all the political, economic, humanitarian and cybersecurity friction going on, not to mention the language barrier and intimidation of a culture so different, consider Hong Kong as a happy alternative. The world’s most visited city effortlessly blends East and West, and like unique sights, sounds and smells, English is omnipresent. Over 150 years of British rule will do that to a place. Those who’ve been there know how much there is to love about Hong Kong. The shopping, the food, the nightlife, the ancient religious temples in the shadow of some of the world’s tallest skyscrapers, the large expat population that reduces trepidation for less adventurous Westerners – this autonomous territory of China is exciting, yet manageable. Because Hong Kong is separate from mainland China, there’s the other plus of not needing a tourist visa. But, as sure as the five-starred red flag flies from government buildings, this is China. The asterisk to that statement comes from the fact that Hong Kong has its own currency, passport, laws, Olympic team and anthem. Rather than delve into politics and economics, let’s focus on the things that make Hong Kong so inviting to the foreign tourist. If you’re expecting a rundown of the must-sees, you’re reading the wrong article. 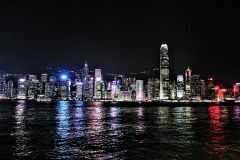 Any travel piece on Hong Kong can cover the Big Five: the Peak for the mandatory photo of the skyscraper cluster with Victoria Harbour in the background, the giant sitting Buddha on Lantau Island, the Star Ferry harbor crossing to Kowloon, the street markets, and the Symphony of Lights (overrated). Here’s the Not-So-Big Five and why both first-time and returning visitors to Hong Kong should consider doing things a few pages deeper into all those cookie-cutter guide books. 1. Say “neih hou” (Cantonese) or “ni hao” (Mandarin) to Mickey – English-language travel books and blogs like to compare Hong Kong Disneyland to Ocean Park Hong Kong. Opened in 1977, Ocean Park often gets the nod over its 13-year-old rival with the more scenic location, being three times larger, having a wider range of attractions and thrill rides, and for entertaining guests with shows starring not costumed characters, but live land and marine animals. Two categories in which Ocean Park is all wet, however, are food – ho-hum carnival-type fare versus Disneyland’s higher quality, wider ranging dining experiences – and, the deciding factor for me, what is known as “Disney Magic.” There’s something different about being at a Disney park – the hospitality, memory-making, cleanliness, positive attitude, and characters and stories beloved for generations. It’s like coming home whether you went as a child or not. HKD is the smallest of all Disney parks, but that doesn’t make a visit any less magical and unique. Its version of the Haunted Mansion is Mystic Manor, which whisks guests through the Victorian home of world traveler Lord Henry Mystic. The mansion comes alive after Henry’s mischievous pet monkey Albert opens a music box that unleashes mayhem and enchantment. Another HKD exclusive is the exciting year-old Iron Man Experience; imagine Stark Enterprises assuming sponsorship of Star Tours. Big Grizzly Mountain Runaway Mine Cars, HKD’s version of Big Thunder Mountain Railroad, has a section where riders go backwards. Just for fun, enter the “Cantonese” or “Mandarin” line at the Jungle Cruise to hear those tired, corny jokes in a different language. OK, so there’s no Matterhorn or Pirates of the Caribbean, but when was the last time you ate smoked duck legs and curry fish balls in Anaheim or Orlando? 2. Crash in Kowloon – Thanks to cheap taxis, the even cheaper Star Ferry and the affordable, easily navigable Mass Transit Railway, or MTR, your first choice of a hotel location needn’t be Hong Kong island. Consider staying across Victoria Harbour in more colorful and earthy Kowloon. If you do and money is no object, look into the Intercontinental or Peninsula, located adjacent to the waterfront and that iconic view of central Hong Kong’s skyline. Kowloon, like many big, old cities, has hotels with rates on both ends of the scale. The sweet spot for us in the middle is the Dorsett in the less tony Mongkok area. By observation, this contemporary-style, moderately priced 285-unit gem is Kowloon’s best-kept secret among Americans. The rooms are small, but modern and immaculate. Complimentary shuttle service takes guests on a loop to all the landmarks on this side of the harbor, and two MTR stations are within walking distance. Breakfast, Wi-Fi and an in-room loner cell phone are free and fantastic. The staff is super. Oh, did I mention the hotel is 100 percent smoke-free? That, as you’ll read next, is as rare as a Caucasian in Macau. 3. Behold “The Las Vegas of Asia” – The first observation my 22-year-old son and I made when stepping inside the world’s largest casino was that we were the only white people in the joint. Make that the entire Cotai Strip. Casino hopping from The Venetian Macau to The Parisian to Galaxy Macau, we stood out like MAGA hats in San Francisco. Not that we ever felt unsafe on that busy Friday night. OK, once – until we realized this dude was following us not because we walked away with a HK$1,770 jackpot (roughly US$225), but due to us being a novelty combination of white and American among tens of thousands of native Chinese. Something else quite strange was no one was boozing it up inside the casinos. The free beverages offered by cart-pushing servers weren’t beer, well drinks and cocktails, but tea, coffee and juice. We asked a casino security guard about this, and his response, a generalization about Chinese and liquor, might appear as racist to American readers, so we’ll move on. As for the games, blackjack and poker are barely played among the sea of tables for baccarat, sic bo, mahjong and pai gow. Slot machines have a USB port next to the buttons, and every player we saw was more focused on his or her smartphone than the spinning simulated reels. Locals, we were told, see gambling not as entertainment, but an investment. Hence, the people are eerily stoic. And get this: Smoking is banned on the main gambling, not that I’m complaining. Also unlike Vegas, getting there is by boat. Hour-long ferry rides between Macau and Hong Kong run throughout the day and night. 5. Browse on the street, buy in Shenzhen – Take it from a guy who just got back from his 10th trip to Hong Kong in 15 years, the street markets there aren’t what they used to be. Two of the most popular, the daytime Stanley Market on the South Coast and Temple Street Night Market in Kowloon, have gone down in size, selection and fun, and the merchants now seem to be either apathetic or downright testy if you bargain too much. The street markets are still worth checking out for first-timers, but if you’re planning to do real shopping, consider getting a Chinese visa weeks in advance so you can buck the guide books and head north a couple of hours to Shenzhen for bric-a-brac, electronics, shoes, clothes and luxury items of questionable origin. Your first purchase should be a cheap suitcase, which will no doubt be filled by day’s end. Take the MTR or the more relaxing ferry to any of a number of bustling shopping areas ready to test your patience and haggling skills. Cancun and Cozumel have a cool factor stronger than the finest blue agave tequila. For us Sacramentans, however, getting to Mexico’s most popular hot spots means a 4,000-mile trek as the crow and a couple of planes fly. On the other side of the country, south of our California border, is a comparable vacation destination that’s half the distance and number of flights. In fact, Aeromexico, United, Delta and American can get you from here to there in about six hours. Located on the tip of the 800-mile long Baja California Peninsula, with the Sea of Cortez on one shore and the Pacific Ocean on the other, Cabo and its alluring coast have all the ingredients for a jalapeno-hot holiday in the Mexican Riviera. Love the gorgeous Hacienda-style grounds, walkable proximity to the exciting marina district and enticing schedule of family entertainment, imaginative kids club activities and adult-exclusive experiences. But what’s really to adore about the 386-unit Playa Grande Resort is its pristine sandy beach. Not a vendor in sight! Muchas gracias, Mother Nature. Due to very strong currents, undertow and waves on that side of the Pacific, swimming is prohibitado along Solmar Beach and neighboring Pedregal Beach. True, the absence of annoying hawkers does come at the price of not taking a dip when enjoying the rays. On the flipside, the price of your accommodations desirably comes at a lower price. Oceanview one-bedroom deluxe suites start at under $200 a night, a value stretched by myriad activities throughout Playa Grande’s eight well-manicured acres. For adults by day there’s aquaerobics, bracelet making, pool or beach volleyball, Zumba and bartending classes, for starters. From the “Things I Couldn’t Do in School Department,” consider taking a Spanish lesson while tossing back a cold Corona with lime at the pool bar. For a nominal fee, the daily children’s program keeps kids 5 through 12 busy with activities that include treasure hunts, face painting, arts and crafts, and pool fun. If heading downtown for dinner and entertainment doesn’t float your boat one particular night, then saunter toward the shore for “Fiesta Mexicana” on Mondays and a happening beach party on Wednesdays. Both feature an expansive buffet, live entertainment and a fiery grand finale, as in fireworks or a fire-dancing show. Cost is $44 per person or $35 if purchased at least a day in advance. Other nights feature special dinners at the property’s various fine restaurants. Meal plans starting at under $100 can transform your stay as something closer to all-inclusive, which is the norm at several top Cabo resorts. Being given the option is welcome for guests wanting to spread their wanderlusting wings. If you desire a swimmable beach and don’t mind shoeing off pests peddling “silver” jewelry, “Cuban” cigars and “handcrafted” Mexican folk art, a short cab ride or long walk away is resort- and cantina-lined Medano Beach. By water taxi is the more secluded Lover’s Beach near the famous stone arch Los Arcos. Nearly every watersport enjoyed by Cabo visitors begins and ends at Medano. Parasailing, Jet Skiing, snorkeling, whale watching and glass bottom boat tours are as easy to book there as ordering a tequila shot. The overrun of operators is a problem, actually, as the uninformed and gullible can be taken for a ride – and not a happy one. Helping minimize confusion and the risks of overpaying and, worse, putting yourself in an unsafe situation, is Cabo San Lucas Tours. Partnerships with legitimate, competition-driven operators benefit customers with lower prices, convenience and, when necessary, problem solving. Case in point: Aries Water Sports put us on the wrong water taxi for a Wave Runner experience. Their error cost us an entire afternoon, though an open-water transfer from the wabbly water taxi to the rocking parasailing boat, and then back again 30 seconds after the blunder was discovered, was the stuff of Hollywood stunt men. Still, being subjected to this bonus adventure was unacceptable. Making a long, multilingual story short, Cabo San Lucas Tours handled the issue, refunding our prepaid Wave Runner rentals and booking us for the next day at Aries’ expense. Cabo San Lucas Tours also got our business for an awesome Migrano Desert and Beach off-road adventure with Amigos Tours. The 1 1/2-hour journey over mountain, desert and beach terrain is a blast and highly recommended thanks to Amigos’ well-maintained Polaris RZR vehicles and cool, yet professional guides. If you want to be one with the world’s largest fish, Cabo Adventures offers a full-day tour consisting of a 2-hour drive north to the seaside city of La Paz, from which a boat takes thrill-seekers to where whale sharks of roughly 30 feet long feed on massive amounts of plankton and other small organisms, but not humans. Snorkeling inches away from these gentle giants is magical and memorable. Cabo San Lucas Tours made booking this life-changing experience inexpensive and easy, and took care of our shuttle vans to and from the airport and hotel, too. 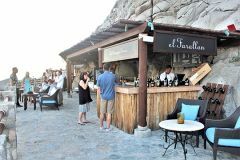 El Farallon is Spanish for “the sea cliff,” and while that’s a fine name for the restaurant based on its dramatic coastal setting, also applicable would be “La Perfeccion” because every aspect of this gastronomic gem is perfect. Superbly prepared food and drinks, professional and attentive service, and a location so spectacular it’s on every YouTube video featuring the world’s most scenic restaurants, El Farallon is a standout among hotel restaurants – and what a hotel, the five-star Resort at Pedregal. Ordering is off chalkboard menus in fish market style with what’s been caught by local fisherman displayed on mounds of ice. Parrot fish and totoaba were standouts one evening, as was everything coming out of Executive Chef Gustavo Pinet’s kitchen. Not toasting to the good life with at least one of 15 labels poured at the Champagne Terrace is sacrilegious for those able to imbibe. La Golondrina – Begin as you must, but end with the bananas flambe and Mexican coffee, both made tableside with pomp and circumstance. Mi Casa – A favorite is the signature El Chile en Nogada, a traditional dish of roasted and peeled chile poblano stuffed with meats, seeds and dried fruits. Gordo Lele – Owner-cook-singer Javier Ramos will fill your stomach, eyes, ears and heart with the cheapest eats and most sincere live entertainment in town. His $1.30 chicken tacos and $2.39 carne asada tortas are only outdone by his stylings of Beatles and Elvis tunes. With growing concern over cruise passenger safety in certain foreign Caribbean ports, Key West is a breath of fresh American air. No unlicensed cab drivers or tour guides screaming for your attention as you leave the port, no violence associated with drug cartels, and no concerns over drinking the water. And one more plus for U.S. citizens: no passport required. So, while Key West has the makings of a Yankee doodle dandy cruise port, don’t for an All-American minute think it drips with mom, baseball and apple pie. In this southernmost corner of the continental United States, a mere 90 miles from Cuba, it’s more like Ernest Hemingway, sport fishing and key lime pie. The aspirational phrase of “One Human Family” is Key West’s official motto, but if the community needs a temporary slogan to capture its inclusive and stalwart spirit post-Irma, it should be “Open for Everyone’s Business.” The port welcomed cruise ships only two weeks after the devastating Category 4 hurricane at its historic 130 mph winds pummeled the Florida Keys. Fortunately for the tourist destination, Key West fared better many of its neighbors as landfall on Sept. 10 was 20 miles to the east. Structural damage was minimal, but the colorful city of 23,000 full-time residents still dealt with the loss of electricity and access to clean water. Not that Key West doesn’t have experience making do already; located closer to Havana than Miami, and with just one road connecting it to the mainland, being independent and plucky comes with the tropical territory. Ernest Hemingway Home and Museum – Never mind that Debbie Downer types discount the American novelist’s Key West years as among his weakest and least productive – Mr. Hemingway’s pristinely maintained home of roughly 10 years is still a must-see. An hour-long guided tour ($14 adults) pays respect to the Pulitzer and Nobel prize winner’s storied life as a Floridian, from the works he penned here, including “To Have and Have Not,” to his six-toed cats, some with descendants that still roam the grounds in hopes of purring on the laps of feline-loving visitors. Helicopter tours are often the most expensive shore excursions on the list, but Air Adventures makes the thrill affordable with rides starting at $69. Visitors coming by land or sea take to the air to spot dolphins, stingrays, sea turtles and other marine life. Harry S Truman Little White House – Odds are that Donald Trump will eventually pick Florida for his presidential library, but until then, Truman’s winter White House remains as the Sunshine State’s only presidential museum. The 33rd commander in chief spent 175 days of his term here, mostly on doctor’s orders to be in a warm climate. Originally built in 1890 on what was a naval station, the house was converted from an officer’s quarters to a single-family dwelling in 1911. One year later William Taft became the first president to visit, and since then four others have signed the guestbook in addition to Truman. Tours run several times daily. 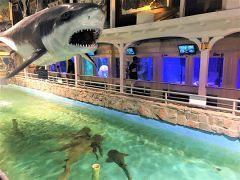 Key West Aquarium – Key West’s first tourist attraction is humble with just over 100 specials of fish, turtles and birds, and its most popular spots are a touch tank and wherever there are feedings. The Monterey Bay Aquarium it’s not, so don’t think you need to spend the day there or $50 for an adult ticket. Here, we’re talking an hour or two and $14. Yep, old school … of fish. Key West Butterfly and Nature Conservatory – Lepidopterophobics and ornithophobics beware, but for everyone else, seeing 60 butterfly species and 20 exotic bird species flutter around a glass-enclosed habitat should be highly enjoyable and relaxing. The attraction ($12 adults) doubles as a climate-controlled botanical garden with cascading waterfalls. An art gallery and learning center add to the experience. Ripley’s Believe It or Not! Odditorium – Disproving the myth that if you’ve seen one Odditorium you’ve seen them all, the Key West attraction ($17 adults) has at least two things the other 30-plus don’t: a shrunken human torso and a typewriter once owned by Hemingway. There’s plenty more that’s cool and amazing as spread across 10,000 square feet and two floors on touristy Duval Street. If the taxidermized two-headed animals and vampire-killing kit don’t excite you, the hour or two of air-conditioning will. A fun and relatively easy way to get to these and other points of interest is the Old Town Trolley ($31 adults). Pick it up at any of 12 stops, then hop off and hop on as you wish or stay on to get the full 90-minute tour. Stop 11 takes you to the butterflies and the most obligatory and falsely advertised picture spot in town: the giant concrete buoy that marks the southernmost point in the continental U.S. The true point is on a private island 10 miles farther south, but let’s not share that spoiler with those waiting in line for the ultimate Key West selfie. Adding in the array of watersports on or in the Atlantic Ocean and Gulf of Mexico, not to mention restaurants, bars and stores with more character than a Hemingway novel, Key West has plenty to offer the day-tripping cruiser, the week-long vacationer, or whatever duration of stay your little, wanderlustful heart desires.